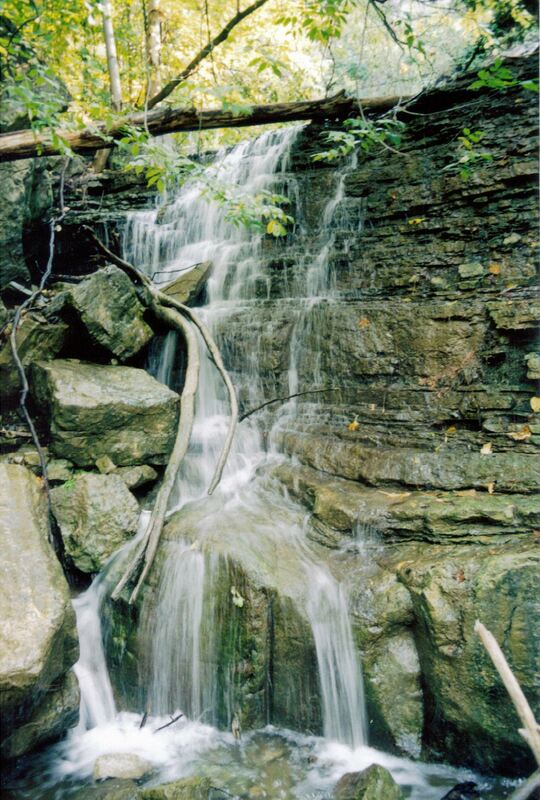 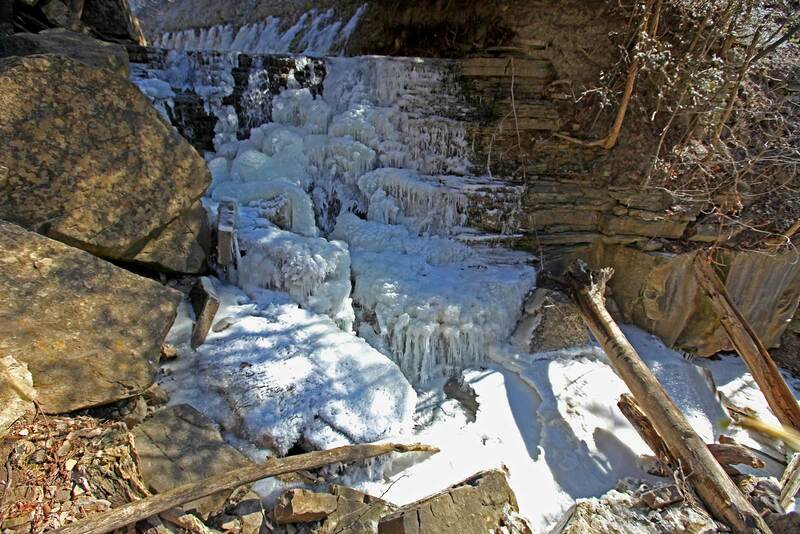 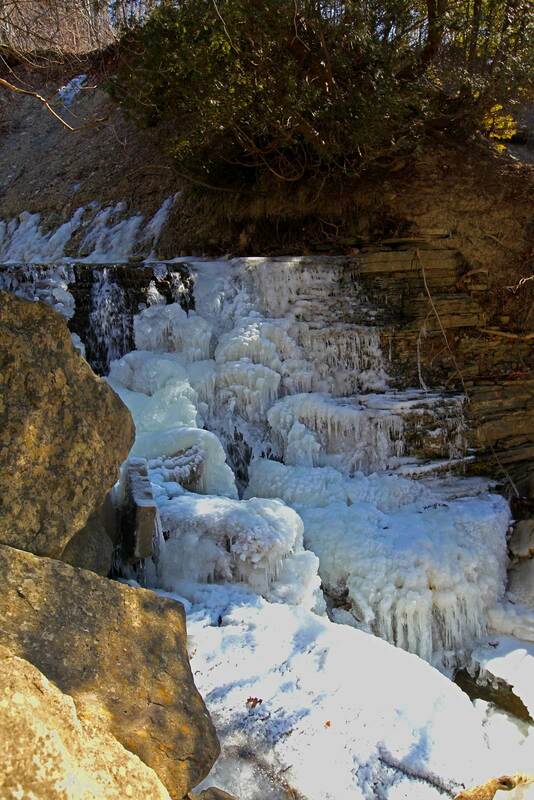 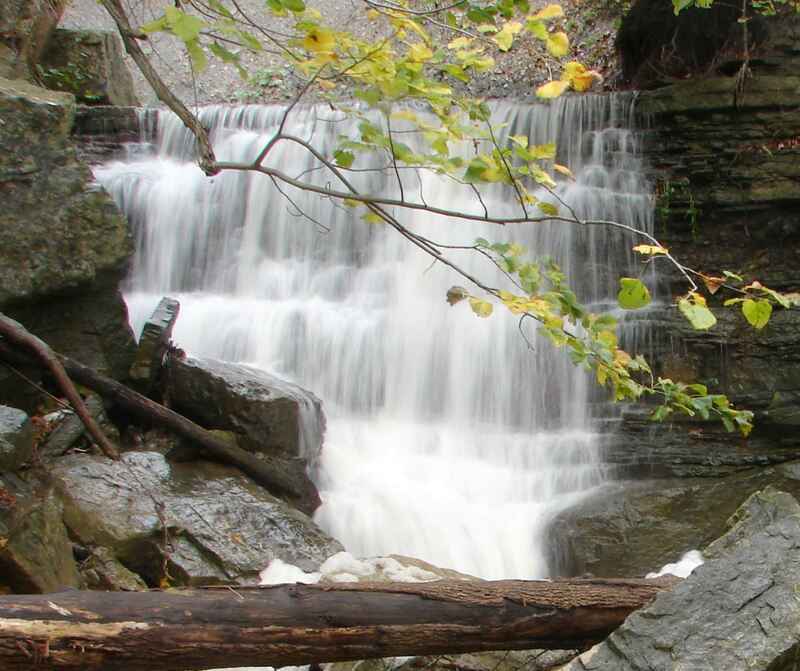 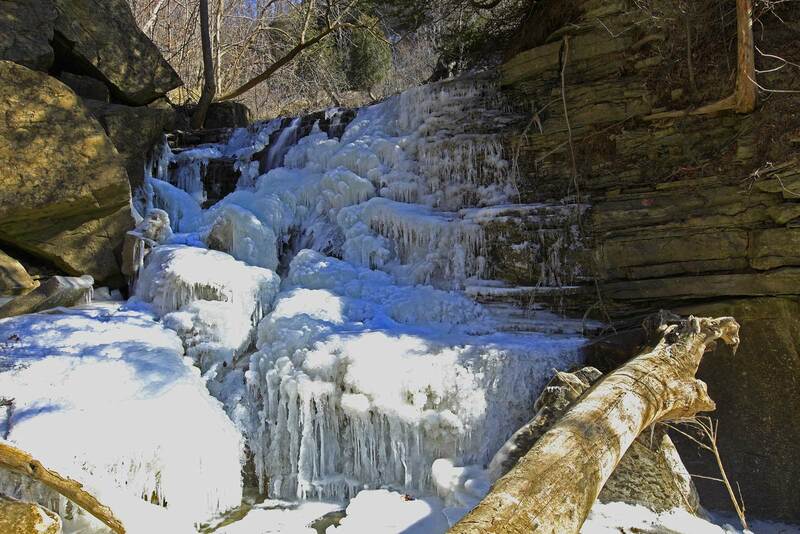 Middle Sydenham Falls is featured on the poster “Waterfalls of Hamilton Spring”. 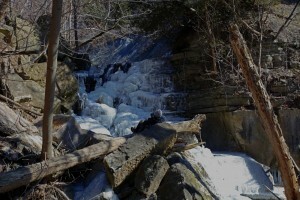 Middle Sydenham Falls is located on the Sydenham Creek beside the section of the Bruce Trail where there are a few wooden steps going uphill (about 100 m upstream from Lower Sydenham Falls). 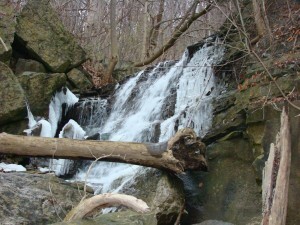 It is visible from the Bruce Trail if the leaves are off the trees.